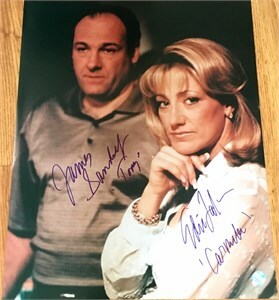 16x20 inch poster size portrait photo from The Sopranos autographed by co-stars James Gandolfini and Edie Falco, who played Tony and Carmela (and added those names to their signatures). 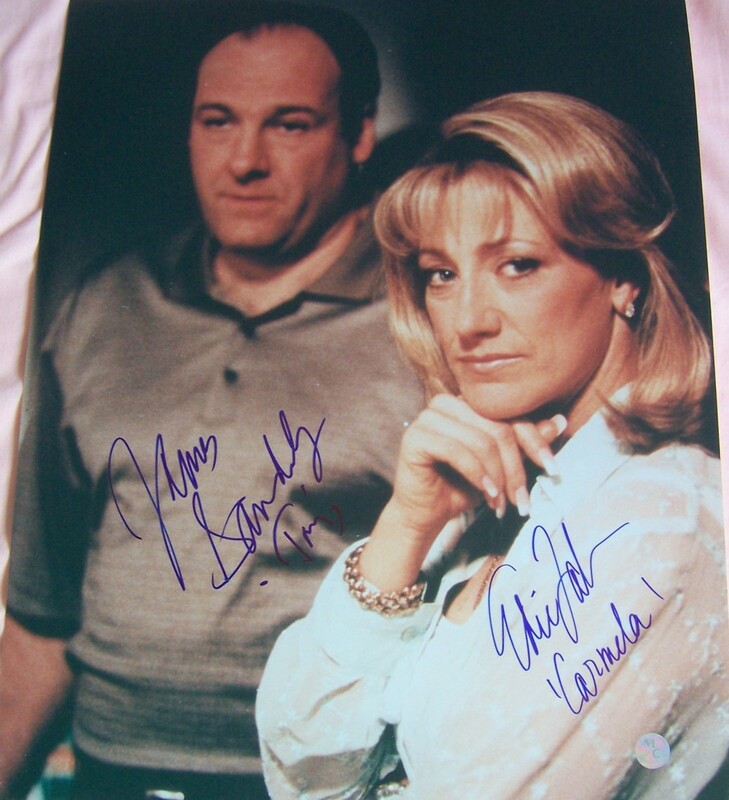 Authenticated by Mead Chasky Sports, with their hologram on the photo. ONLY ONE LEFT. With certificate of authenticity from AutographsForSale.com.